As the days grow shorter, it’s important to make sure that your home’s outdoor lighting is working properly. These exterior lights will be on for longer periods of time, and it’s a good idea to check the bulbs and timers before winter arrives. At Masterpiece Lighting in Atlanta, we can help you find everything you need for your outdoor fixtures, including new LED bulbs that are rated for outside use. 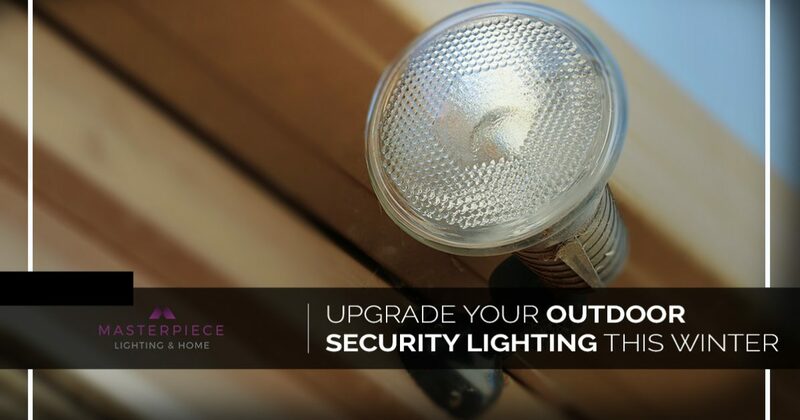 One of the biggest concerns of many homeowners during this time of year is security lighting. You’re likely leaving the house and coming home when it’s dark, and you want to feel safe when walking up to your front door. You might be walking down the street in the evening to a neighborhood holiday party, or you may be traveling for a few days to see friends and family. Whatever the case may be, we can provide you with the perfect exterior lighting upgrades! Whether you’re out walking the dog after work, or you’re coming home from a friend’s house down the street, following an evening of hot apple cider and board games, it’s important to have adequate lighting for the front of your home. It always seems like your security and outdoor lights burn out at the most inopportune times, and the last thing you want is not to be able to see the sidewalk because a light isn’t working. At Masterpiece, we have outdoor-rated LED flood bulbs and more that will last for many seasons, so you’ll be able to feel safe walking up to your front door every single night. Another concern that you may have is your home being secure while you’re away. You have locks on all the windows and doors, and you’ve invested in a state-of-the-art security system, but what about your exterior lights? Well-placed flood and motion sensor lights can deter trespassers before they even reach your home. Once they trip a sensor or walk by a certain part of the house, they’ll be bathed in light for all the neighbors to see. This can keep your home safe and unharmed while you’re away visiting relatives for the holidays. 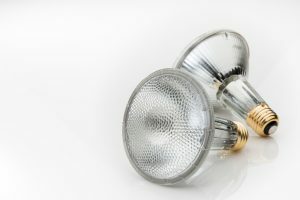 Our showroom can provide you with both time-delay fixtures and lights with on-off photocells that ensure secure and effective illumination around the perimeter of your house. We have locations in both Atlanta and Roswell, and each lighting store can help you find exactly what you need. If you’re worried about your outdoor security lighting, or you have bulbs that have burned out and need replaced, then please visit us today. Above all, we want you and your family to feel safe and secure during the winter season, and we’ll gladly answer any questions you have about our product selection, lighting installation and more. Contact us today by using the form below, by calling our Atlanta location at (470) 296-3636, or by calling our Roswell location at (678) 274-5668.